Seminar: Where Dreams Come True! Mary Kay Inc.’s Seminar is going on now with about 30,000 attending. 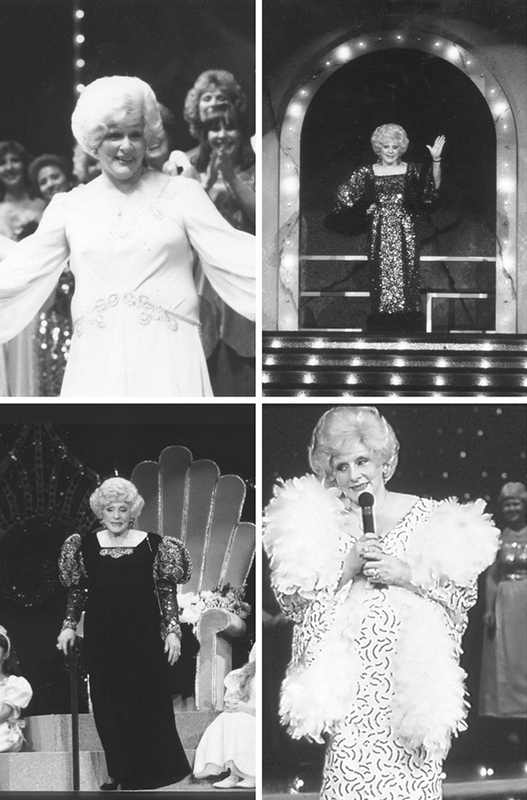 Nobody describes this event better than Mary Kay Ash herself. Here are her words from 1974. Our wonderful Mary Kay world springs into action at Seminar. After months of planning, working, and dreaming, Seminar is the ultimate celebration to honor all who attend. Believe this! Our Mary Kay Enthusiasm song takes on a staggering new dimension when sung by the thousands. Mary Kay Independent Beauty Consultants come from nearly every corner of the world via plane, car or bus. They’ve made it their goal to absorb all the motivation, education, inspiration, and information they can find from the staff and other successful independent sales force members. Seminar is intangible as well as tangible. Jennifer Cook, Mary Kay Museum Director Emeritus, recalls some of the intangible. No matter how many times I saw Mary Kay step onto the Seminar stage, I had tears in my eyes. I felt overwhelmed by Mary Kay’s influence as I looked at the sea of women. These were mothers that could stay home with their children. Career women who found a positive environment. Bored women found social fulfillment. And insecure women found personal growth. That’s what enriching lives is all about. Robyn Truman wrote re: Seminar: Where Dreams Come True! Minnie Johnson wrote re: Seminar: Where Dreams Come True! She impacted many women lives. Amanda Minaker wrote re: Seminar: Where Dreams Come True! Seminar is a place to recharge your dream batteries. It's an opportunity for two vital forces to meet- those working with women directly and the force who supports them. Consultants and Directors get recognized, and they are given a chance to connect and reflect. This 2017 Seminar was clear and powerful- we have so much work to do! Michelle Dennis wrote re: Seminar: Where Dreams Come True! I am attending my first Seminar and am very excited about being more involved with the Foundation! Breaunna Womack wrote re: Seminar: Where Dreams Come True! As I am attending my first seminar as I am typing this comment I am loving every moment and learning a lot of information about the Mary Kay Foundation. I am so happy to be apart of Mary Kay! Tisha Beard wrote re: Seminar: Where Dreams Come True! Here at seminar just being here is amazing !!! Jessica Wells wrote re: Seminar: Where Dreams Come True! My husband and I just attended our 1st seminar. Words can't describe the emotions we felt and the love that Mary Kay has for it's family (employees). I was so moved by what the Foundation does for women that I am working towards becoming an Ambassador. Thank you Mary Kay Ash for everything you did for us women and men who want to empower people. Tiffanny Hawthorne wrote re: Seminar: Where Dreams Come True! This was my second year at Seminar and I cannot contain just how amazing it was and how much more I understood the second time around. The first Seminar was just in awe of everything happening.. this year, I understood more of what everything means.. who the teachers were that we got in our classes. And mainly I think I understand a great deal more now WHY Mary Kay Ash did what she did and was such an amazing and thoughtful woman who always gave back and was there for everyone... It's an amazing thing she started and that her family is so passionate about too. Really makes me feel like I'm doing more than just getting people to buy product.... I'm making a difference with anything I do with the company. <3 Thank you Mary Kay Ash for starting this awesome company and accomplishing everything you've done! Donna Little wrote re: Seminar: Where Dreams Come True! Everything about Mary Kay the business, foundation, people, and training are phenomenal. I am blessed to be apart of such a wonderful company and cause. Courtney Nimmons wrote re: Seminar: Where Dreams Come True! I must say last year was my first seminar, I was floored. It was a moment I would never forget for years to come, I attended this year and was even more excited than I was last year. The recognition, love, and support that consultants and directors are shown is absolutely beautiful and I hope to see so many more years of fun, family, and business with Mary Kay, and continue to donate throughout everytime. Melodi Nelson wrote re: Seminar: Where Dreams Come True! Seminar is fabulous, always a positive atmosphere and very well organized. I love the encouragement from everyone who is there. I can't wait until next year. Melissa Spandler wrote re: Seminar: Where Dreams Come True! I am a new consultant and attended my first Seminar. It was amazing!! I can't wait for next year. Kristie Hayes wrote re: Seminar: Where Dreams Come True! 2017 was my very first Seminar and oh my word what an experience!!! I am so motivated now more than ever to share with other women. The motivation, encouragement, and inspiration that pours out from the NSD's and other Sales Directors on stage is phenomenal. I am so proud to be a part of Mary Kay! Bilma Quiroga wrote re: Seminar: Where Dreams Come True! I attended my first seminar this year. It was amazing! I left so empowered. I have definitely seen an increase in my production and the faces that will take me places! Thank you!!!!! April Leal wrote re: Seminar: Where Dreams Come True! Talk about getting everything you need when you need it. I am humbled by Mary Kay Ash's vision and dedication. Though I never knew her she changed my life. So thankful for everyone involved in seminar - dreams come true! Rachael Wilmoth wrote re: Seminar: Where Dreams Come True!